Yep, that’s me. Before Isagenix I was a tired, stressed-out mama. I was eating EXTREMELY clean but my jeans kept getting tighter and tighter. I was a runner who couldn’t run anymore. Heck, I could barely get through a day of taking care of our family and home, then throw work on top of that. Grumpy and irritable, I looked my worst, felt horrible and was napping all the time. Was this how life is going to be from now on? I was scared. No, I was terrified. I had to hit ROCK BOTTOM before I would even open my mind a sliver to listen to a good friend who shared something with me that worked for her. However, I was so desperate to feel like myself again, to be WHOLE again, I very skeptically said “YES” to the Isagenix nutritional system, after FULLY researching all of the ingredients of course. Whole Foods…CHECK! Dairy-Free options…CHECK! Soy Free…CHECK! Gluten-Free options… CHECK! NO artificial colors, sweeteners or flavorings…CHECK! 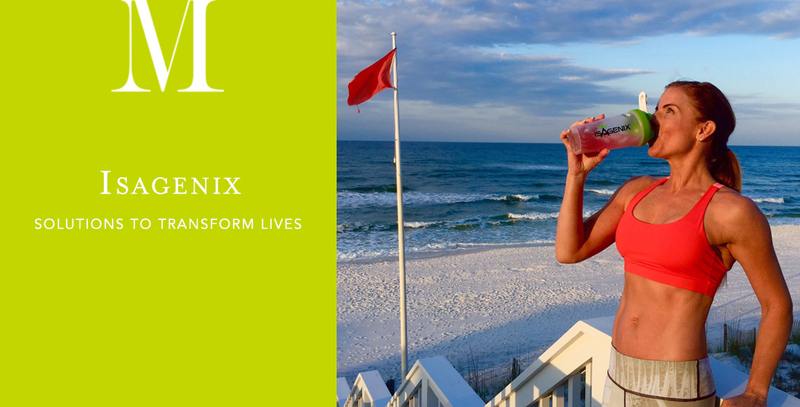 Because I have felt the Isagenix difference personally and have had the honor of helping over a THOUSAND others do the same, I am EXTREMELY confident in the RESULTS. IT WORKS. Steve and I were hit hard by the recession. First, we used Isagenix as a tool to take OWNERSHIP of ourselves PHYSICALLY during that time of high stress and uncertainty. We were in such a state of crisis we forgot how to DREAM. Now, because we truly believe that these are the BEST PRODUCTS offered by the BEST COMPANY in a culture of INTEGRITY, AUTHENTICITY, CONTRIBUTION & GROWTH, we are taking FULL OWNERSHIP of our lives FINANCIALLY and DREAMING BIG. You can too. Isagenix has a mission to POSITIVELY IMPACT WORLD HEALTH and in the process become the LARGEST HEALTH & WELLNESS COMPANY IN THE WORLD. We are so PROUD to be partnered with it. Isagenix is an opportunity to diversify your income. Simply get your products paid for, make a few hundred dollars a month or substantially contribute to your family’s financial blueprint, YOU DECIDE. You are in business FOR YOURSELF but NOT BY YOURSELF. There is a manual. Resources are FREE. Work from ANYWHERE, at home with your kids, at a park or while traveling. The products IMPROVE other people’s HEALTH, FITNESS & LIVES. You help other people SUCCEED. You have MENTORS (with an S!). And, a TRIBE. You get to pick your business partners too. I LOVE the fact I get to work with my husband. TOGETHER we have helped many people create an income stream with Isagenix. Plan for your FUTURE. GO FOR YOUR DREAMS! My GOAL with MargauxDrake.com is to not only to EDUCATE, INSPIRE and EMPOWER YOU to DESIGN AND LIVE A LIFE YOU LOVE, but I want to help you FUND IT too. FUEL for your dreams. If you are hard working, passionate and driven we would love to hear from you.